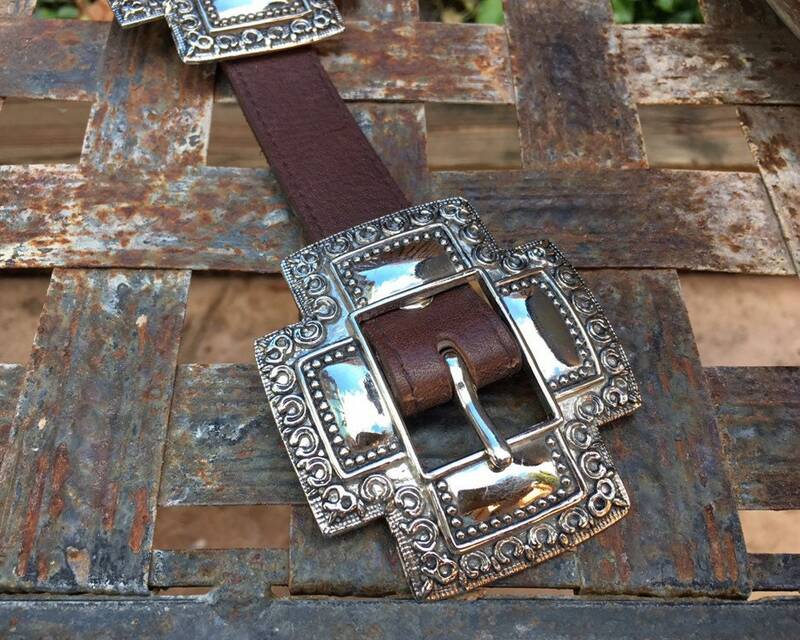 I'm a lover of anything cross related, especially silver tone cross conchos like this on a genuine leather narrow-ish belt. 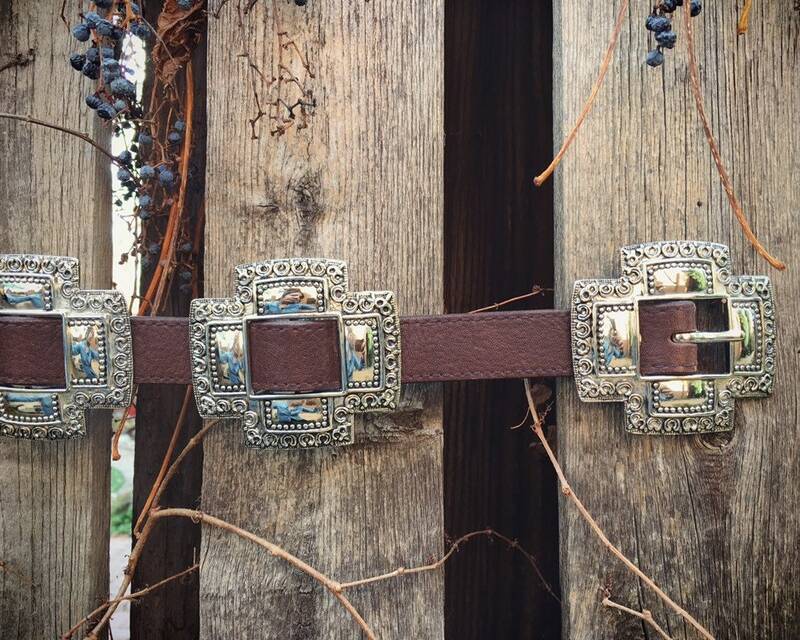 This was my belt from the days when I was very thin and a Size 4, given to me as a gift. 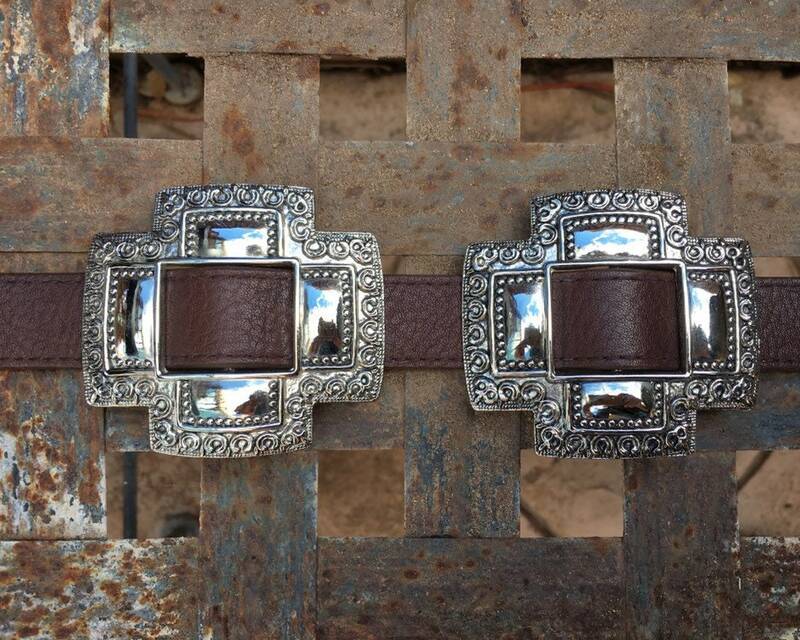 I wore it a few times but even then it was a tight fit, as I liked to wear my concho belts low on my waist. I didn't have the heart to ask the giver if I could exchange for a larger size, so I held on to it over the years, the way we do when we think we might miraculously be able to wear something that's too small some day. 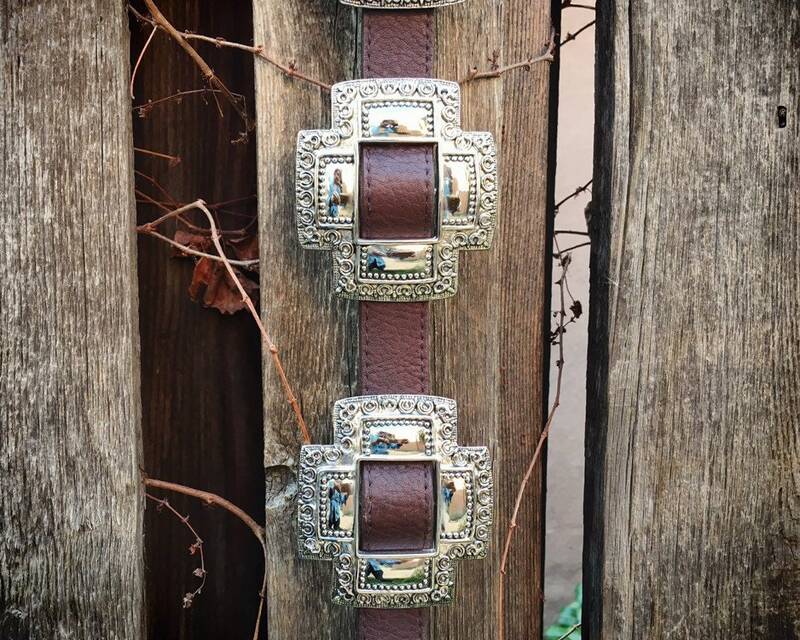 It's a great belt in great condition, perfect for someone with a small waist and small hips, as concho belts like these are often worn low on the hips over a long flowing skirt. 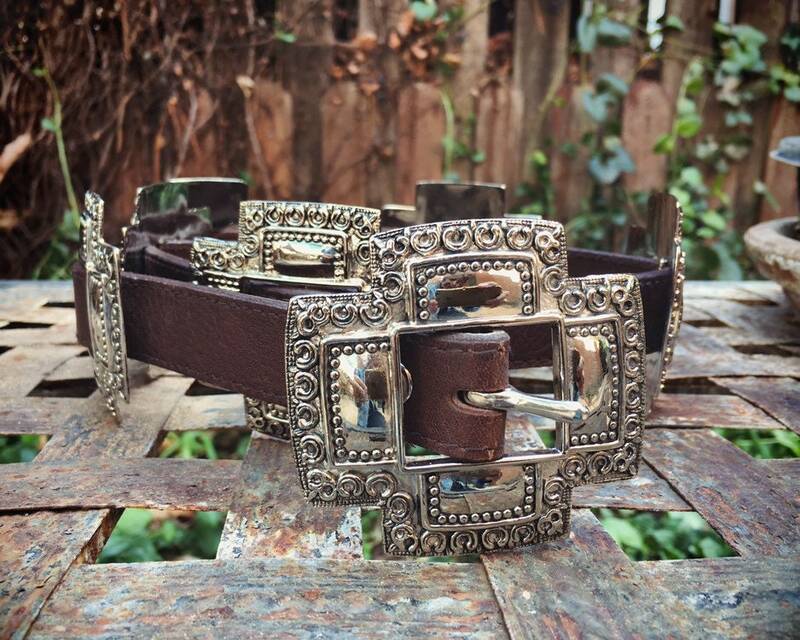 Also, the conchos make it impossible to wear through belt hoops unless they are quite large. The silver tone metal is likely a stainless steel alloy. 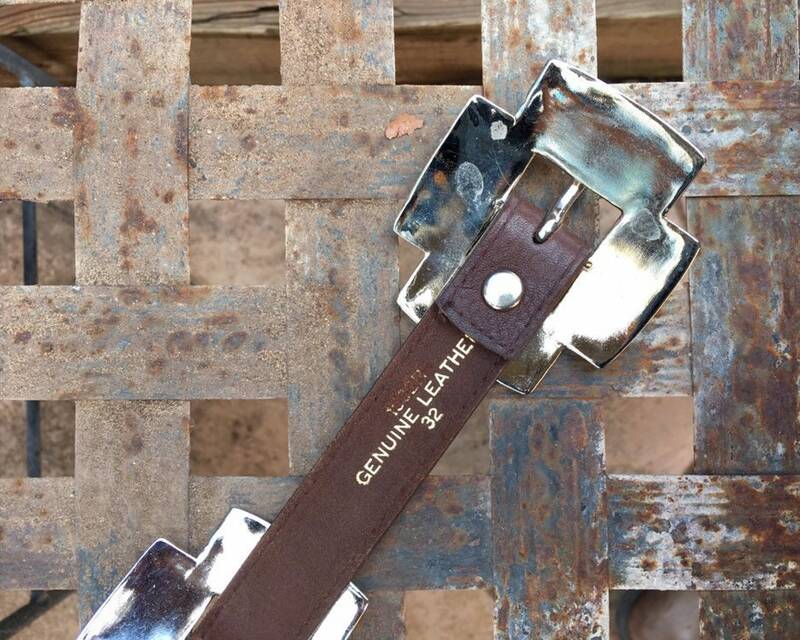 The brown leather belt is thick and fairly stiff, again from lack of wear and age. 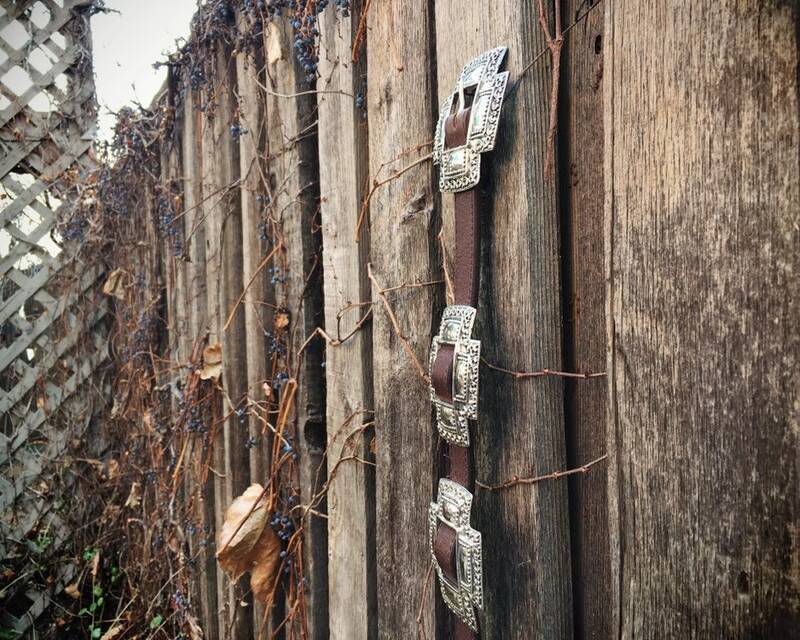 The belt measures just about 37-1/2" from the end of the buckle to the tip, with the nearest hole being at about 28-3/4" from the buckle hook, and the farthest hole being at 32". 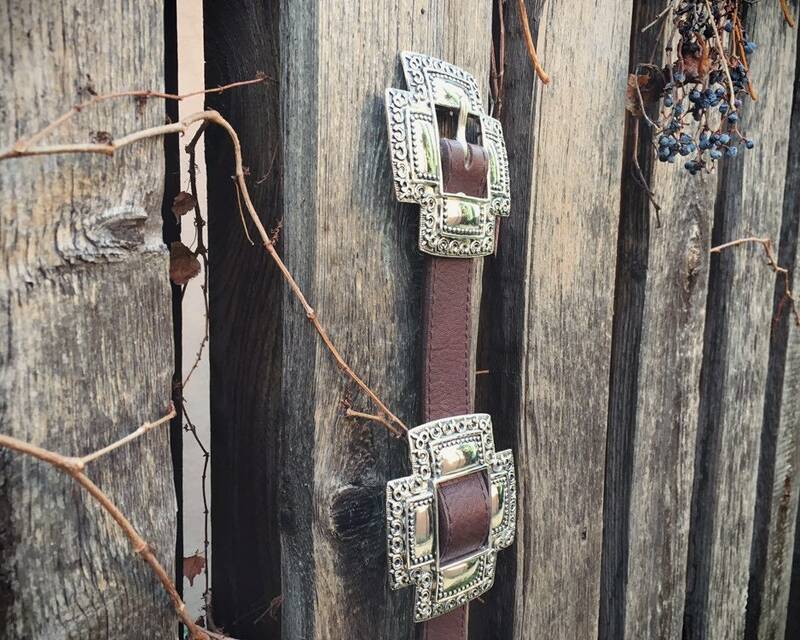 Ideally the belt will fit someone with a waist between 28-32", which makes this small or petite size. 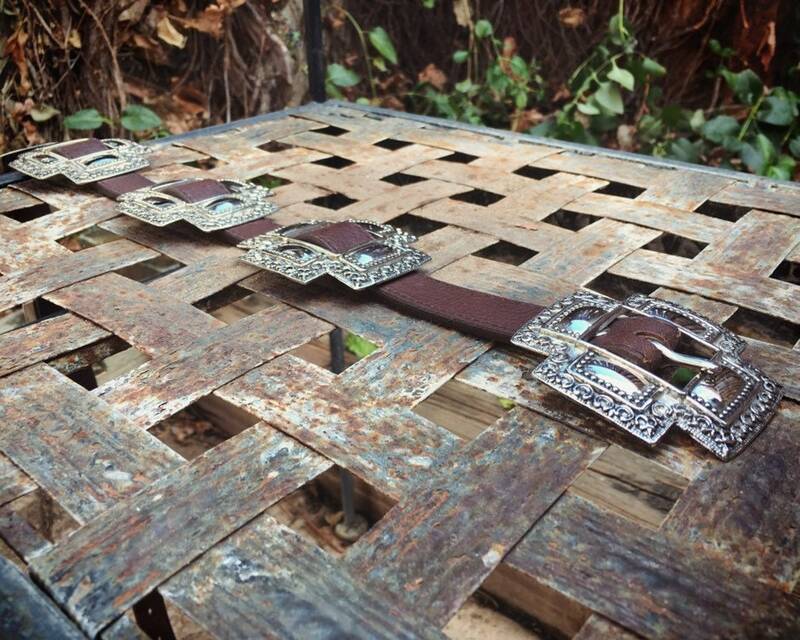 The leather belt is just under 1" wide, and each cross measures about 3" wide by 2-5/8" tall. The silver tone metal is in good condition. 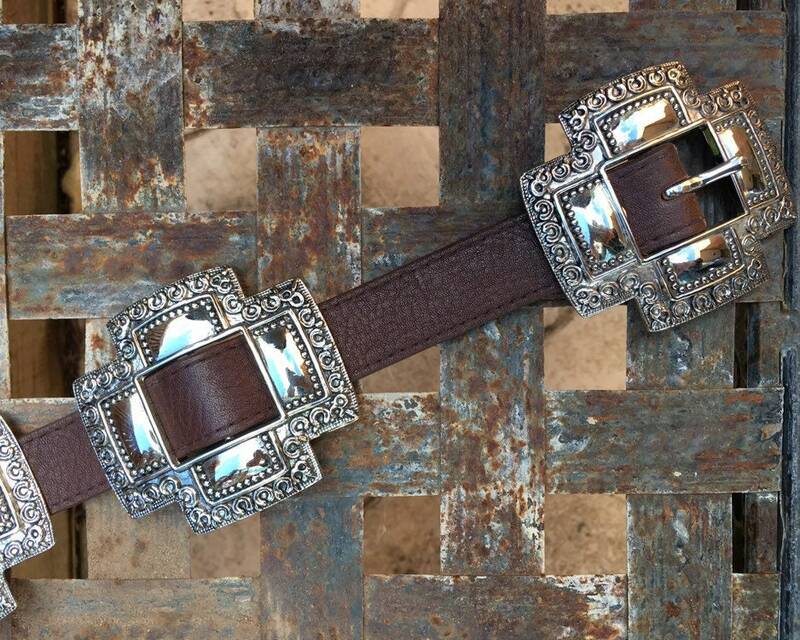 A small sized belt with big presence.